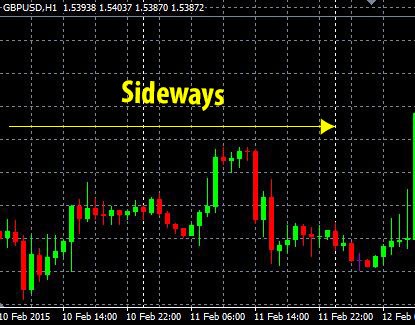 The first thing that you should do in trading is taking a look at the chart and determine the market condition. 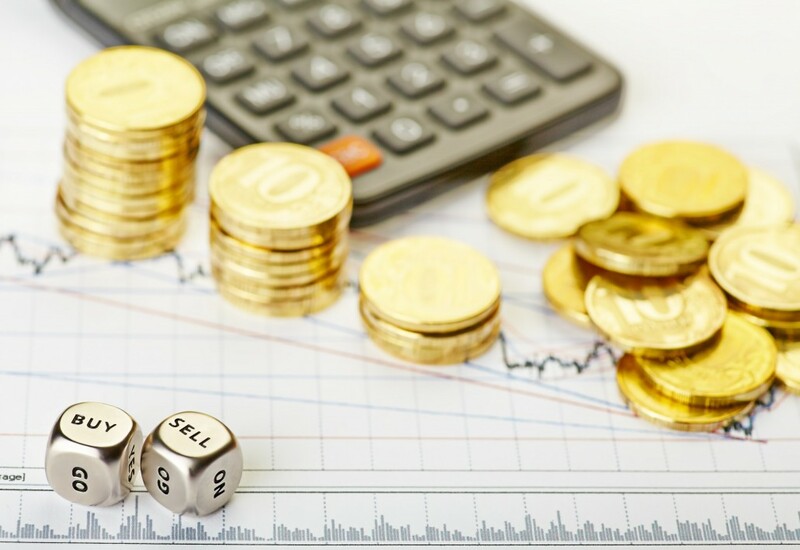 But what are the characteristics of each market condition for trading? At least 3 times in row with a around the same range of highs and lows. With these characteristics of each market condition you can now determine what the current trend is. Now you have learned of how to identify trends. The next step in trading profitable is to identify price cycles. When you know how identify both well then you can make a lot of money. One thing you should know that price does not cycle perfect, as we would like. Therefore we need to combine our price action understanding with Cyclicity to understand areas or zone where price is likely to turn. This means that there will be times that we can get this wrong however as you grow as a trader chance of getting this wrong will be smaller. 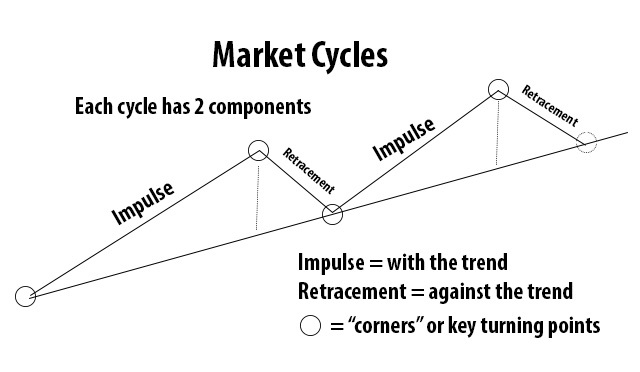 Markets don’t go up or down in one swing but it goes in cycles. In the picture at the right you can see how a complete cycle looks like. Each cycle has two components. The components are called impulse and retracement. 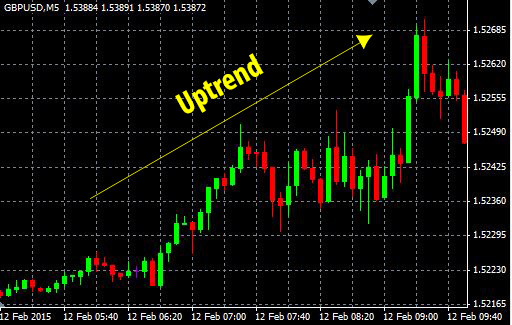 The impulse line goes with the trend and a retracement goes against the trend. How to make money on market cycles? In the trading world professional traders make money on the bounce and not on the impulse. Your job as trader is to make money on the bounce. With the market cycle you can predict when the next cycle will come. 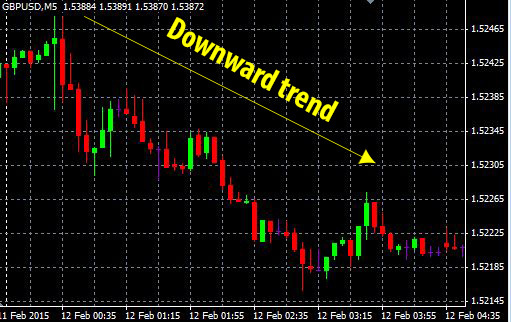 To identify the bounce you need to see a reversal bar. The reversal bar is explained in the Price Action Bar section. If you have any questions regarding this topic, please post your questions in the comment box below and we will response to it as soon as possible.